This week on Life Behind Beer our cousins discussed the Great American Beer Festival and the Hazy IPA winner. The Juicy or Hazy IPA category was added to the competition lineup for the first time this year and had 391 entries. Earlier this year the juicy or hazy styles were added to the 2018 Brewers Association Beer Style Guidelines. The so-called New England variation of the American IPA typically has a high hop aroma and flavor and a medium to low perceived bitterness, which are also highlighted by a visual level of cloudiness or haze. The brewery that took home the gold at GABF for the Juicy or Hazy IPA was Alarmist Brewing – Le Jus, Chicago, IL. We wanted to discuss what it means that a New England brewery didn’t take home the gold. Jared: Chicago won the gold for the hazy category. It’s not your northeast brewery. What does it say about how this works. Does it mean anything? Paul: I would just assume it speaks to the fact that the style has just been blowing up the last year or two. You have so many being made across the country now you could have a winner coming from anywhere. Wes: It’s the evolution of any trend. It starts hyperlocal and then if that catches on it’s bound to go outside of those geographic boundaries. This is just the evolution of that whereas maybe a year or two ago if it had been a category but there were less producers making it there would have been a higher statistical chance that a New England brewery took home the gold. We’re at this point where the style has evolved to a lot of people trying to take it on and make examples of it. 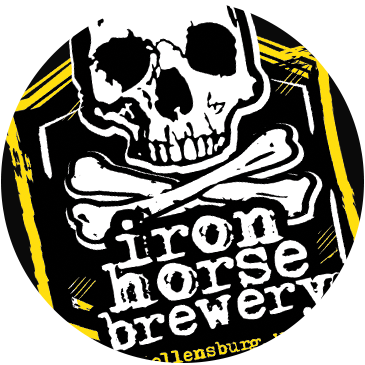 Iron Horse Brewery produced our first hazy beer earlier this year.